Welcome back to another episode of Dragon’s Demize! 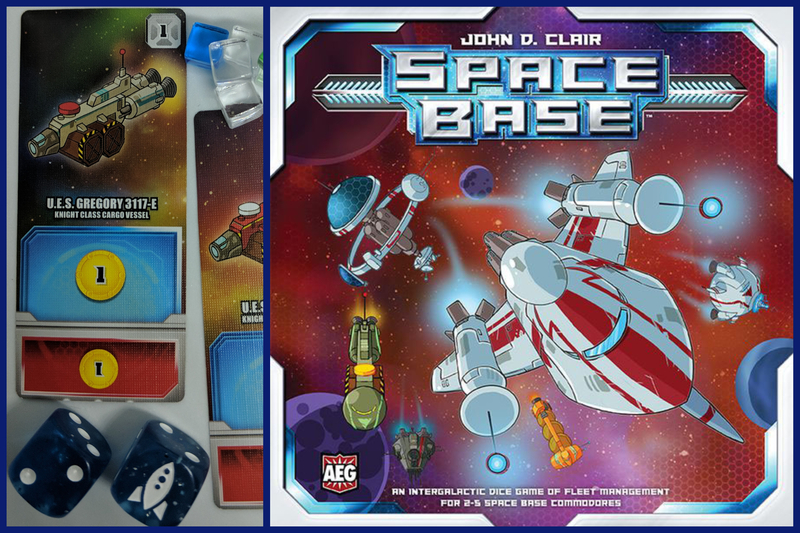 This week we’re reviewing Space Base, a tableau-building game for 2-5 players. Each player has an array of ships, numbered 1-12. On each turn, they roll two dice and activate ships according to the values rolled, either individually or combined. They earn income to buy more and more powerful ships, and eventually the first player past 40 points wins. It’s a solid, well-designed game, and we hope you check out the full review. We also talk about What We’ve Been Playing Lately. We get unusually critical in this week’s segment, bringing up aspects of Empires of the Void II and Gloomhaven that we think could be stronger. It’s definitely a change of pace, so let us know if you like it, or if you don’t!